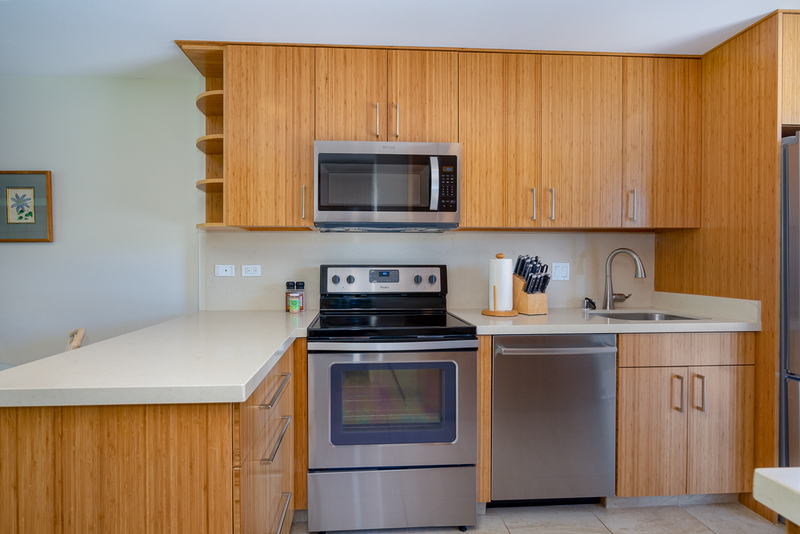 If you like “NEW”, you will love this beautiful condominium at the brand new Napili Surf on the southern tip of Napili Bay, the best bay on Maui and the place where everyone wants to be. 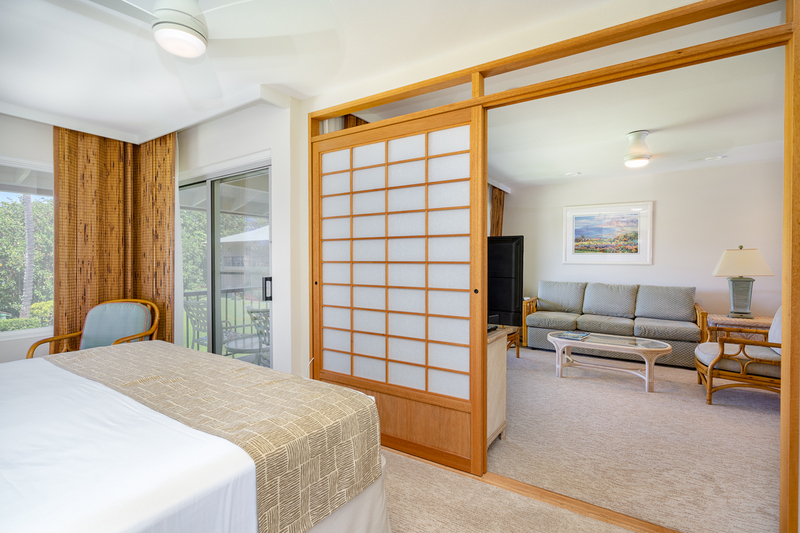 The unit and the whole complex have just finished a year-long complete renovation. 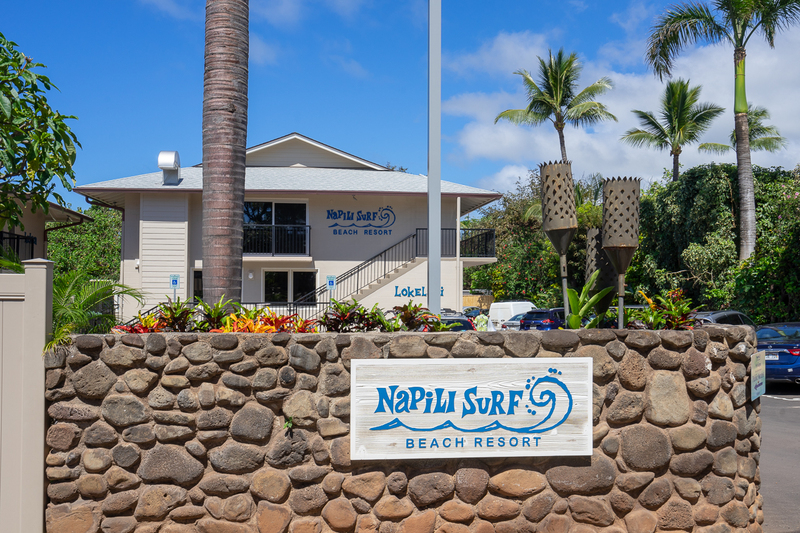 Napili Surf’s new interior has been completely updated and modernized. 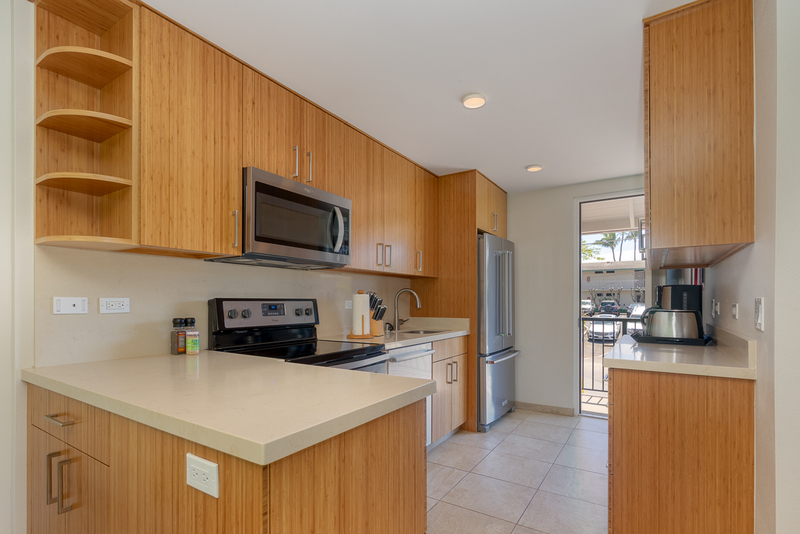 The full kitchen has all new cabinets, stainless steel appliances and beautiful granite counter tops. The bathroom has also been fully redone. 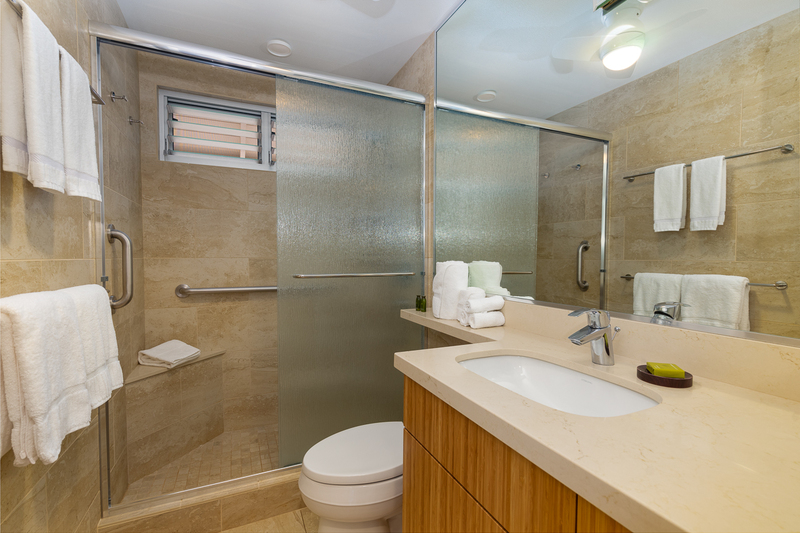 You will love the large walk-in shower. 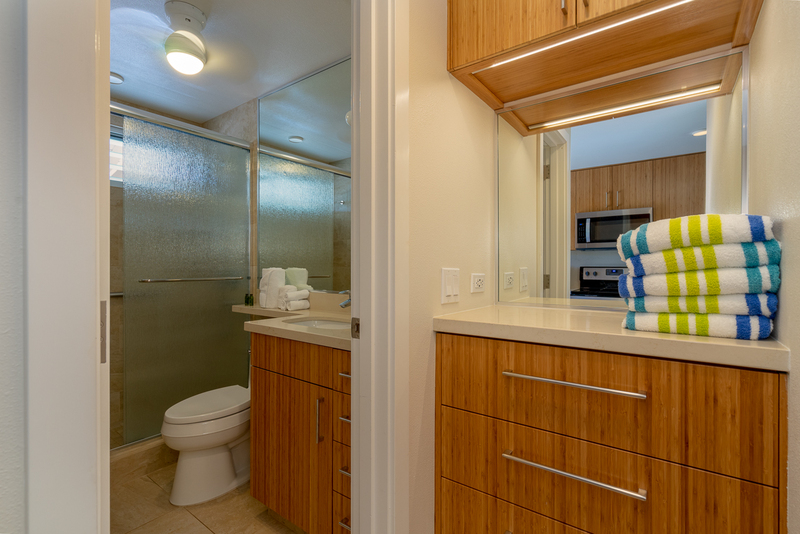 The vanity matches the kitchen cabinets right up to the granite tops. The architects who designed this complex positioned it to take full advantage of the views. 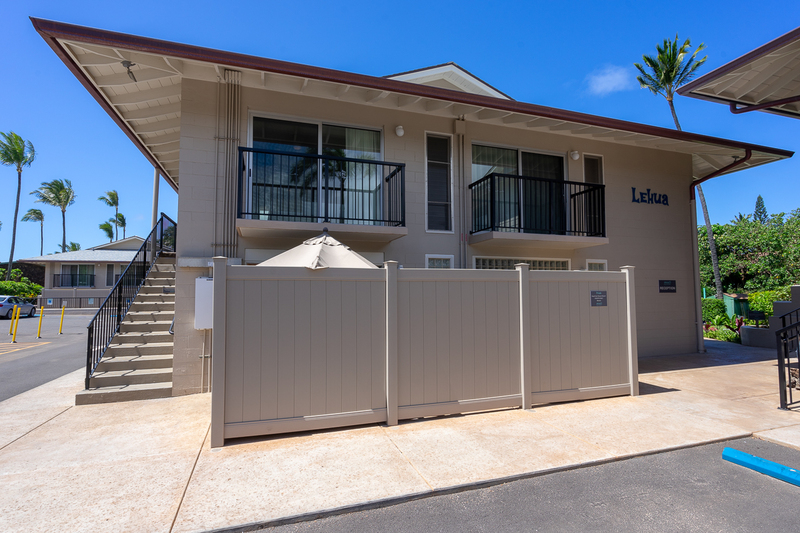 You look out across the bay and onto the ocean, so you get a sweeping view of the ½ mile long sandy beach and a spectacular view of the ocean with Molokai on the horizon. 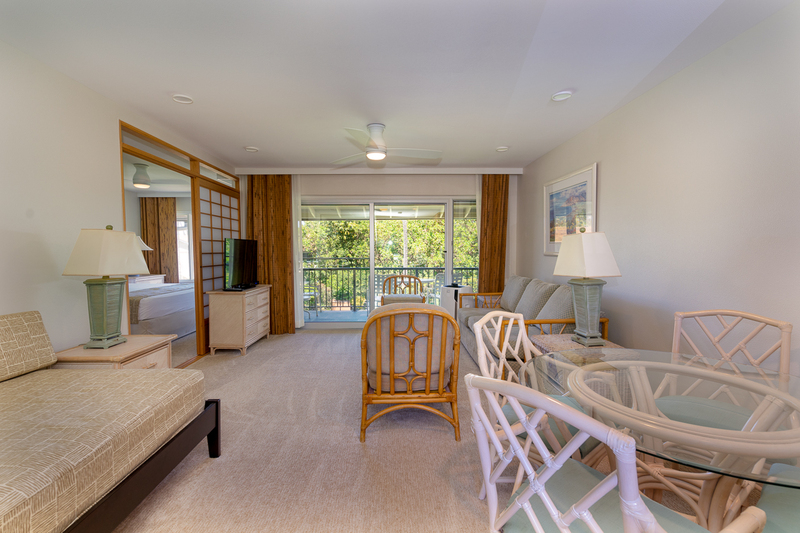 Unit 210 is a partial ocean view one bedroom unit and has a large and comfortable lanai. 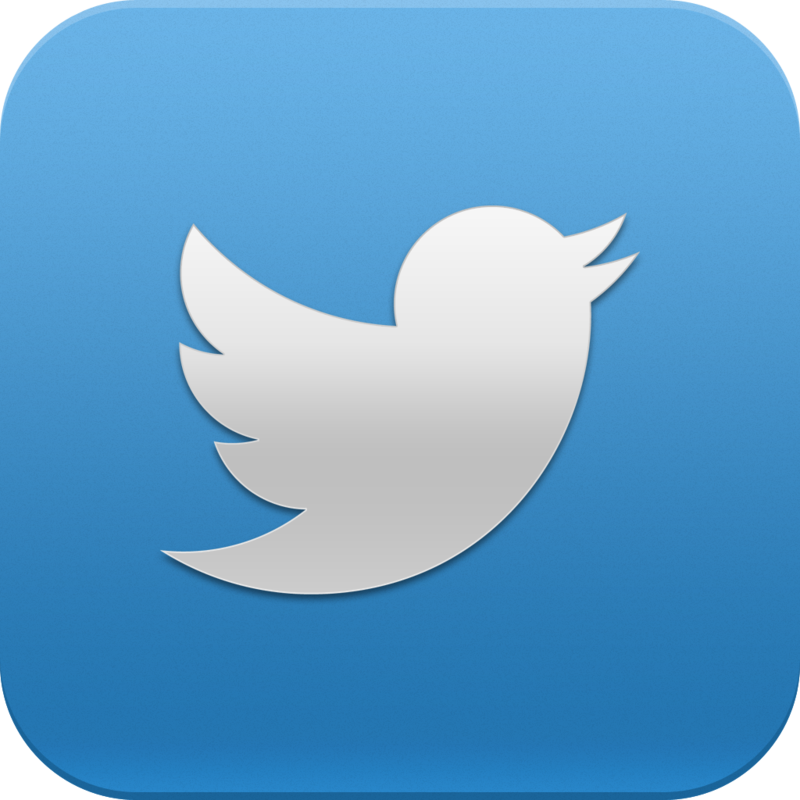 The interior is extremely efficient, and the space is very well used. 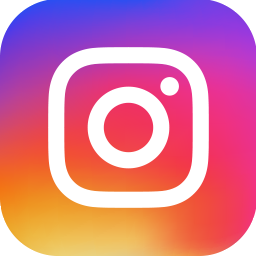 (Make sure to check the video.) 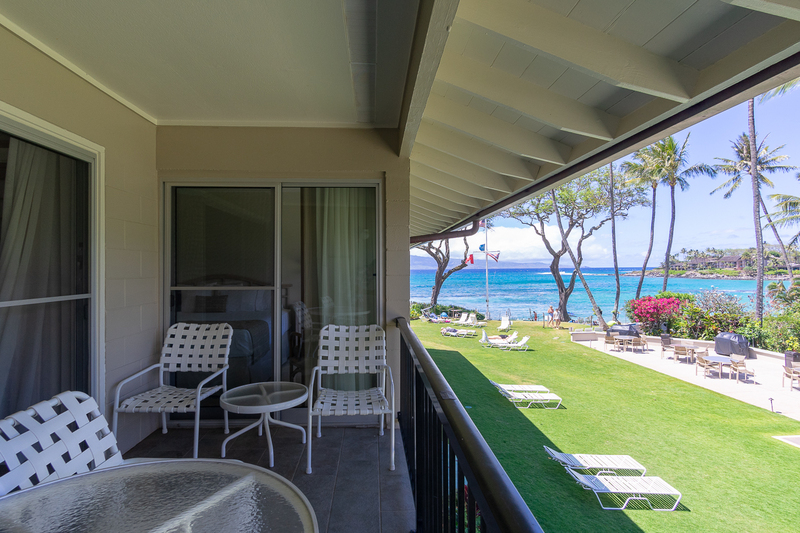 From your condo at Napili Surf, you can walk down the stairs to the beach. 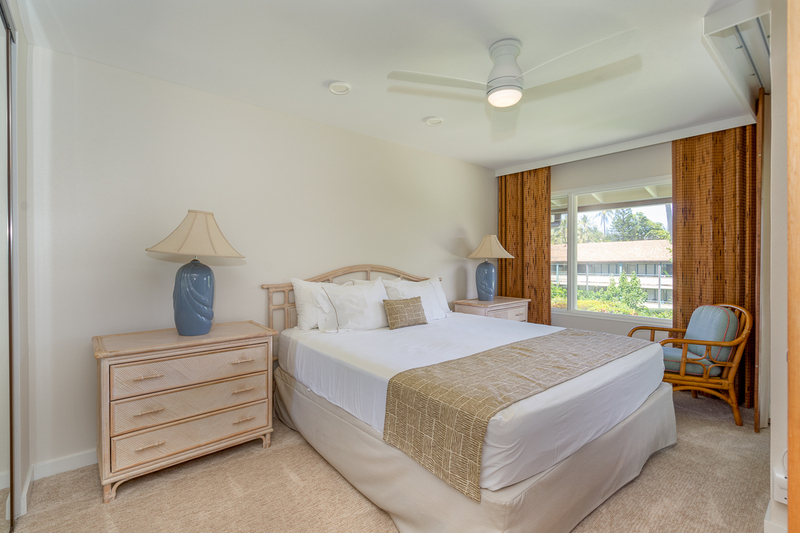 From there you can explore the tide pools, enjoy a snorkel or just kick back on the sunny sandy beach. 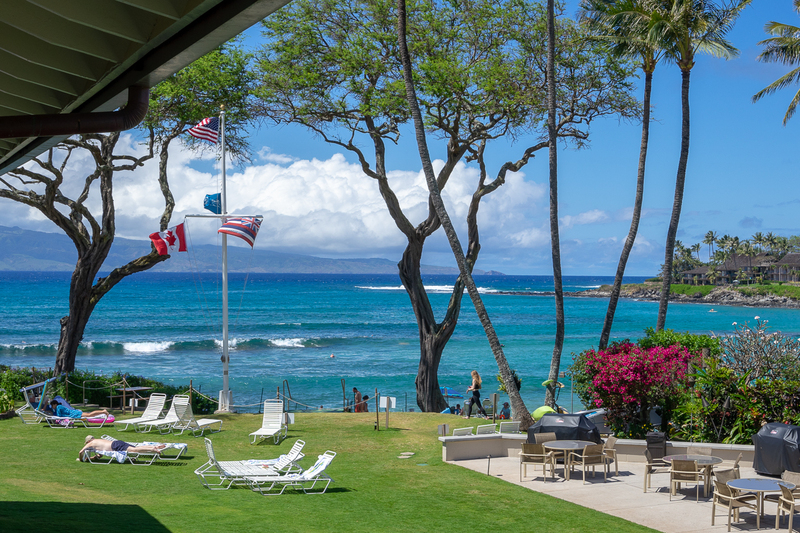 Whatever you choose, you can’t miss seeing Maui’s great green sea turtles, or “honu” in Hawaiian, which are abundant at this end of the bay. 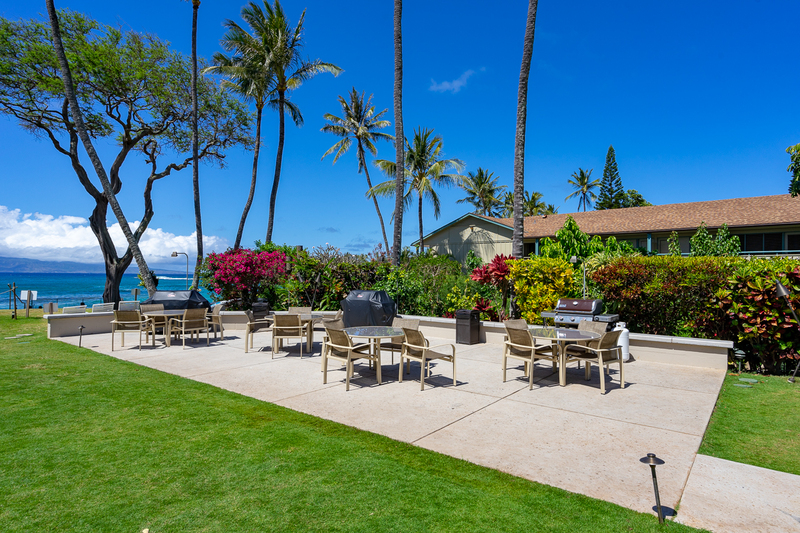 The grounds are beautifully manicured and include a pool, oceanfront barbecues and a unique sandy seating area above the beach. 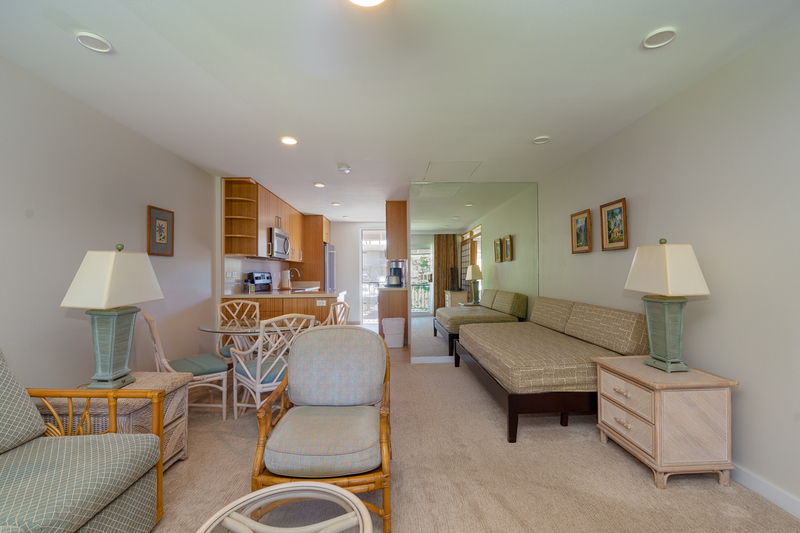 Contact your favorite agent, and come see Napili Surf 210!